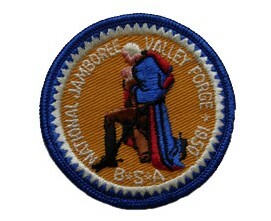 Boy Scout national gatherings, known as jamborees, are commemorated with an embroidered patch for all participants. The Boy Scouts of America is a national organization and their ultimate gathering is the national jamboree, a rendezvous of scouts from across the country that has been held approximately every 4 years. And while no Boy Scout event is complete without an embroidered patch to commemorate the occasion, the patches created for these jamborees are especially prized by collectors. The combination of limited production runs and colorful patch designs makes national jamboree patches highly sought after by scout embroidered patch enthusiasts. 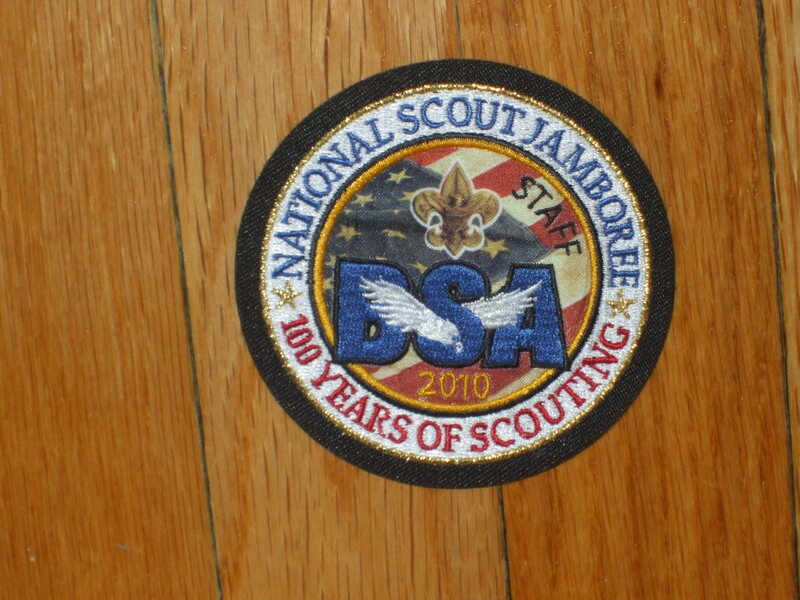 The 2010 Jamboree celebrated 100 years of scouting in the U.S. The pictured patch is especially prized by collectors due to it’s staff designation. Look closely and you can also see the use of golden metallic thread. First proposed in 1935 to celebrate the twenty fifth anniversary of scouting in the United States, the inaugural event was postponed due to a polio outbreak in the Washington D.C. area, and not held until 1937, with thousands of Scouts camping on the National Mall. Since then, 17 national jamborees have been held, with the 18th scheduled for the summer of 2013 at a new site, The Summit Bechtel Family National Reserve in West Virginia. 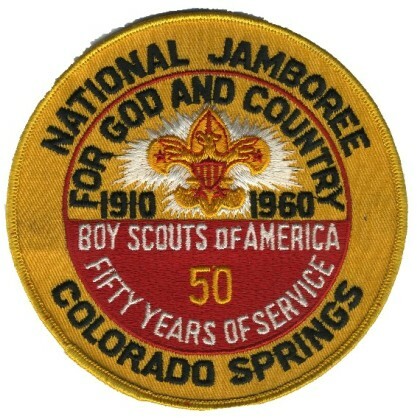 Half a century of Scouting was celebrated with the Golden Jubilee patch created by the Chicago Embroidery Co. for the 1960 jamboree in Colorado Springs. Patches from the originally proposed 1935 event are very rare and valuable (beware of reproductions), and each jamboree’s embroidered emblem is coveted by collectors. As a supplier to the national Boy Scouts, the Chicago Embroidery Company made many different jamboree patches over the years, including the fabled “Golden Jubilee” patch in 1960. 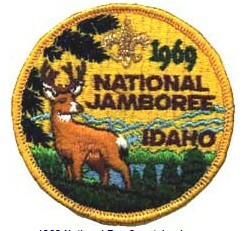 This fully embroidered patch was given to attendees of the 1969 jamboree in Idaho. 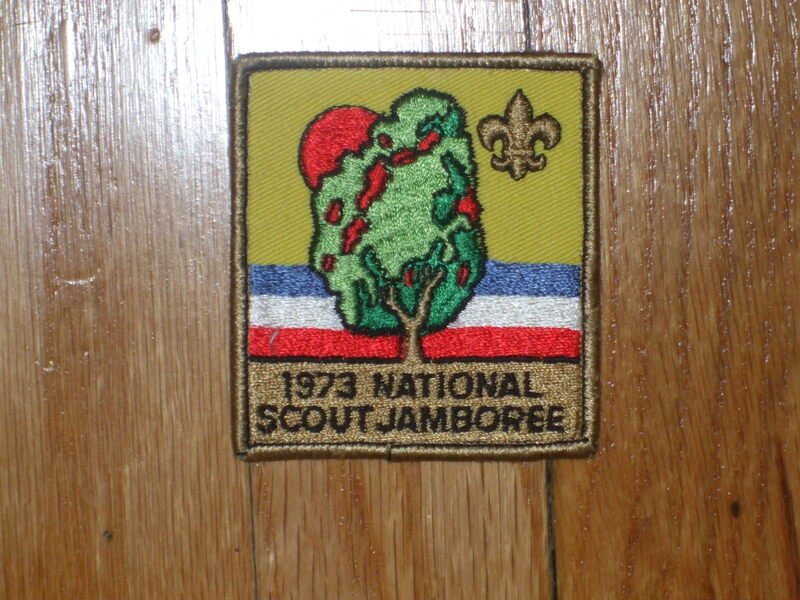 This 1973 jamboree patch is a good example of the use of a contrasting background material used as an accent. *1973 was the only year that two jamborees, east and west, were held. Scouting membership peaked during this period.